Laurie was an announcer with the CBC for 35 years, first at CFPR in Prince Rupert, B.C. in 1964 and then moved to CBC Calgary in 1973. 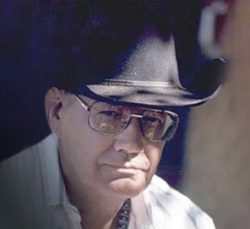 He retired in 1996 and was active in a variety of volunteer positions including the Calgary Boxing & Wrestling Commission, Calgary Cooperative Memorial Society, Calgary Vintage Motorcycle Group, and the Foothills Bluegrass Society. He was very involved with music and was on stage at festivals introducing the performers and followed their careers with numerous interviews throughout his career in radio. His life touched so many people and he will be missed by his wife Sylvia (nee Fedoroshyn) Mills, son Matthew, daughter Jodene, grandchildren Benjamin and Maya; brother Harvey (Alex Chesky), sister Anne, and extended family and friends. He is at peace and joined his mother and father Joyce (nee Wilson) and Wellington Mills along with many pets that shared his life and home. At Laurie’s request no funeral service will be held. Condolences may be forwarded through www.mcinnisandholloway.com. If friends so desire, memorial donations may be made directly to the Pacific Assistance Dogs Society (PADS) Alberta Puppy-Raising Program, PO Box 451, Stn Main, Calgary, AB, T2P 9Z9, Telephone: 1.877.292.1765 (Toll Free) (Option 4)https://pads.ca/give-now/ or a charity of your choice. In living memory of Laurie Mills, a tree will be planted at Fish Creek Provincial Park. OBITUARY COURTESY THE CALGARY HERALD.